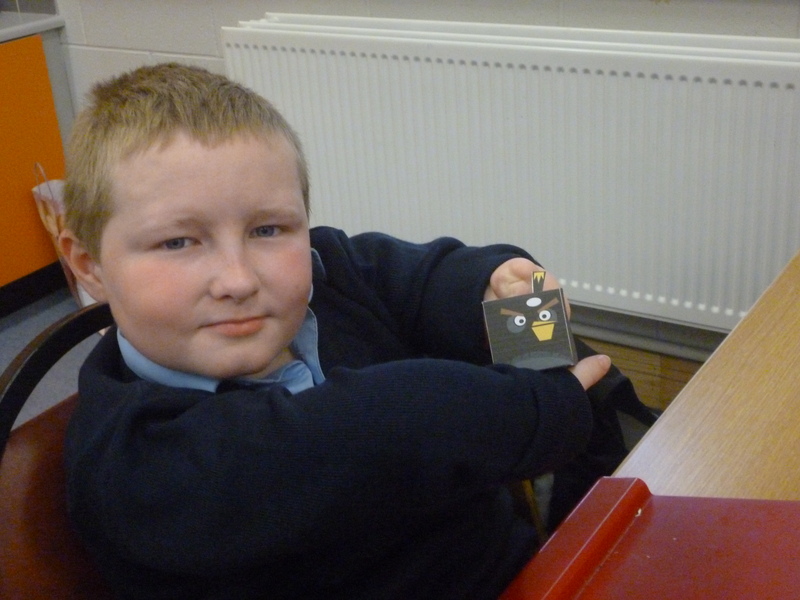 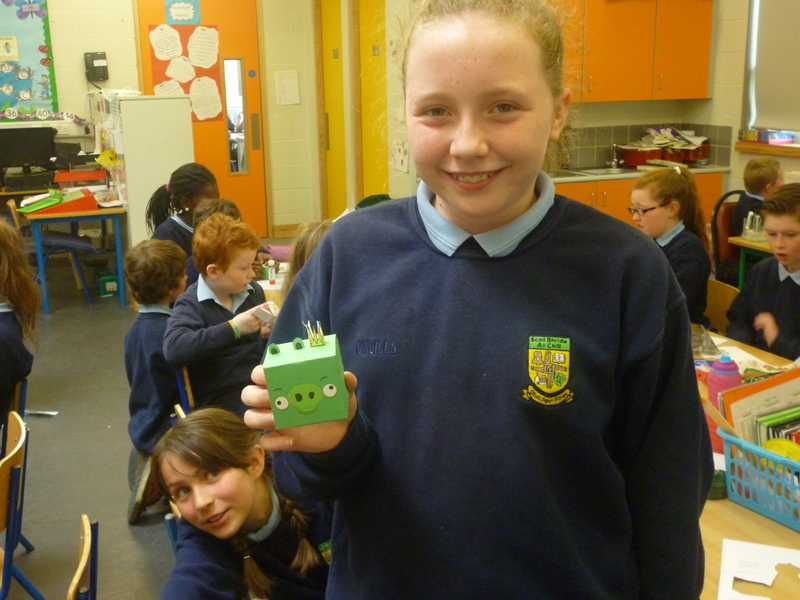 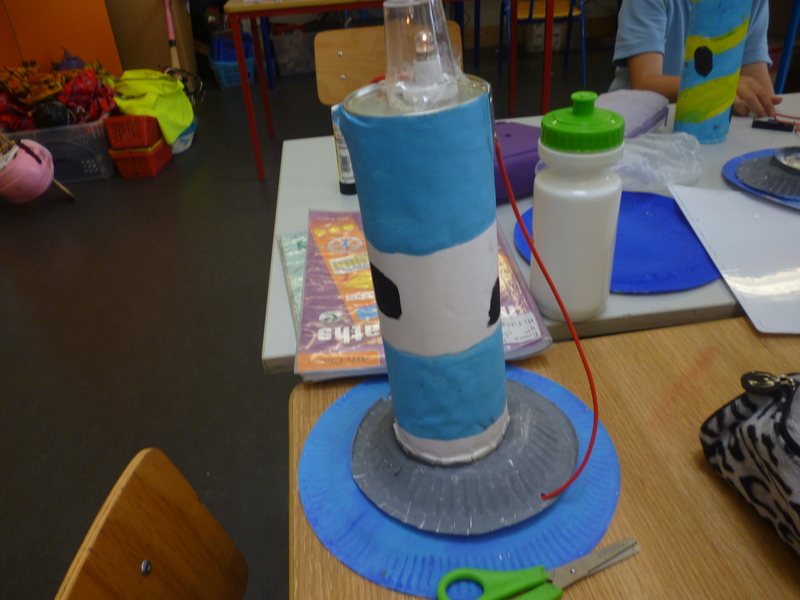 In science, we have been learning about electricity. 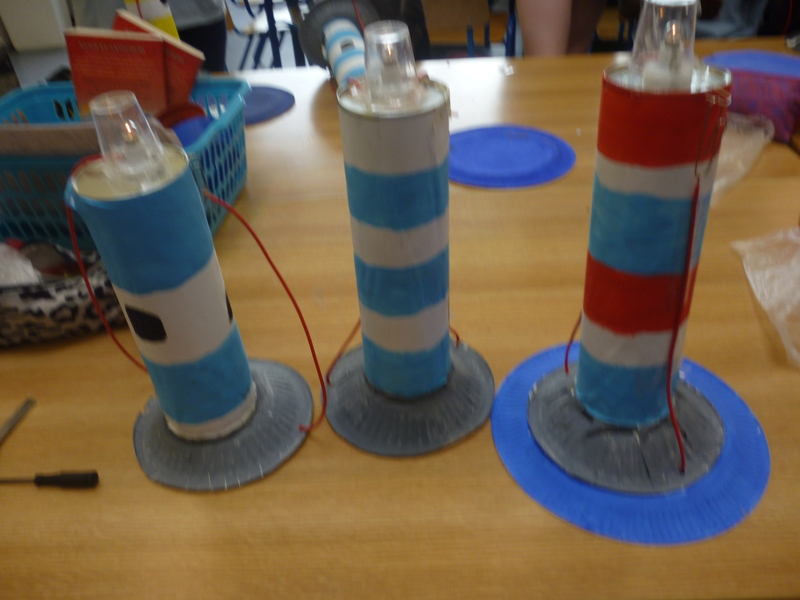 We learned about making an electrical circuit to light a bulb, create movement and activate a speaker. 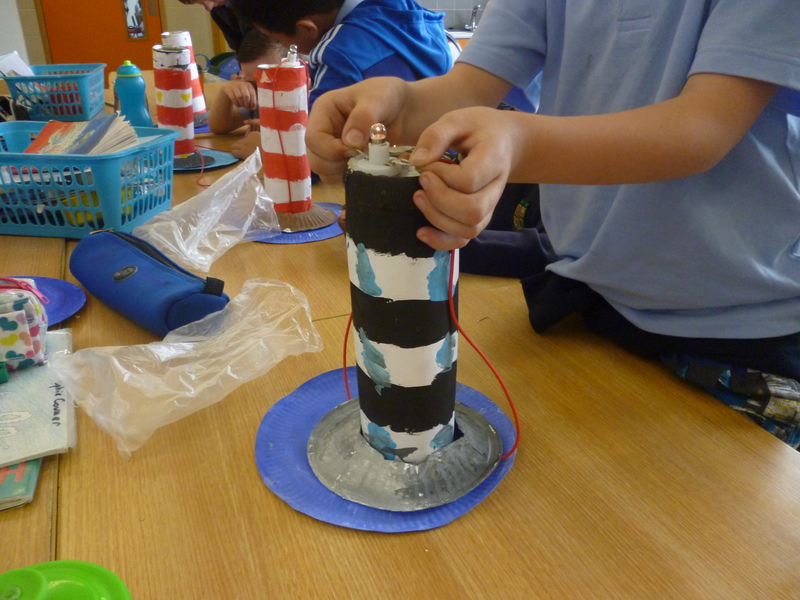 We applied what we learned to construct a lighthouse. 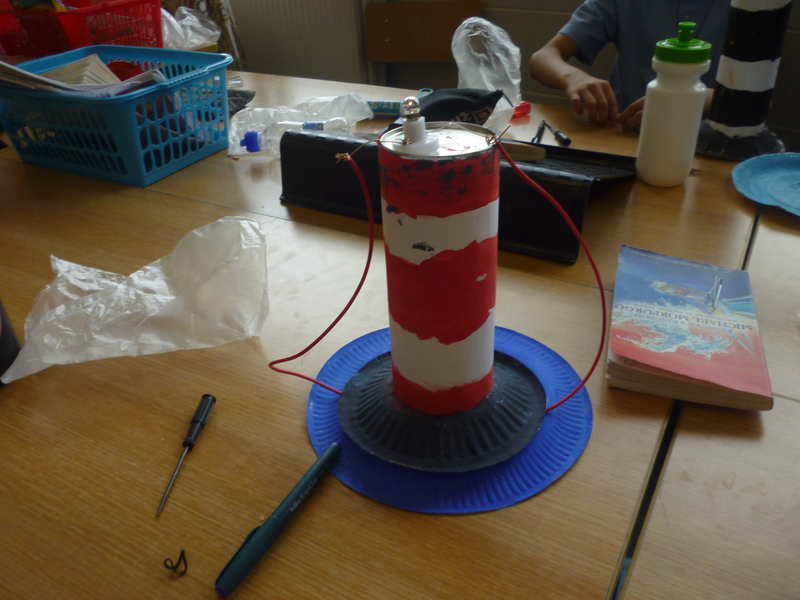 First we painted a pringles box (lighthouse), a card bowl (cliff) and a paper plate (sea). 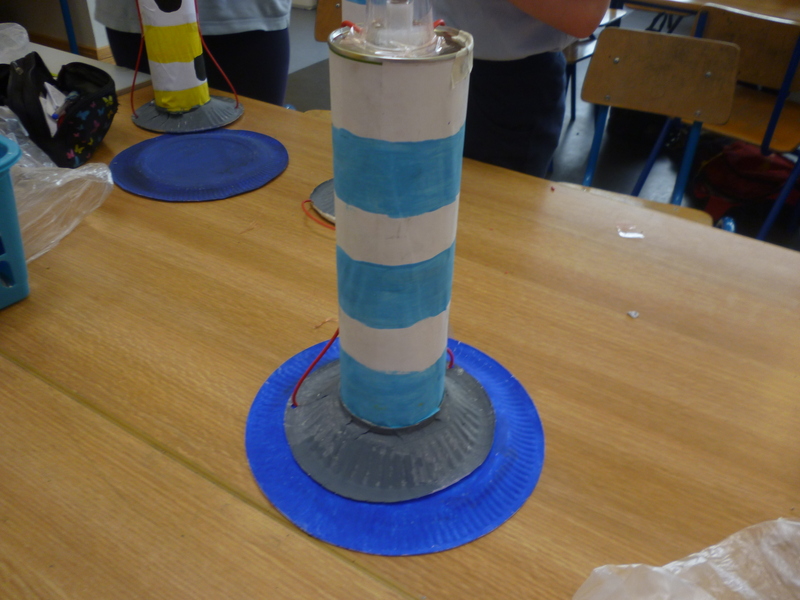 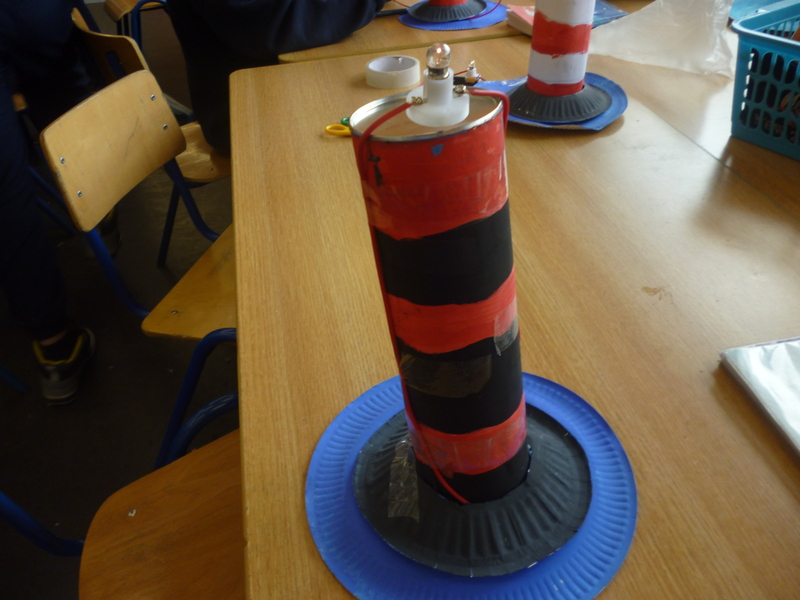 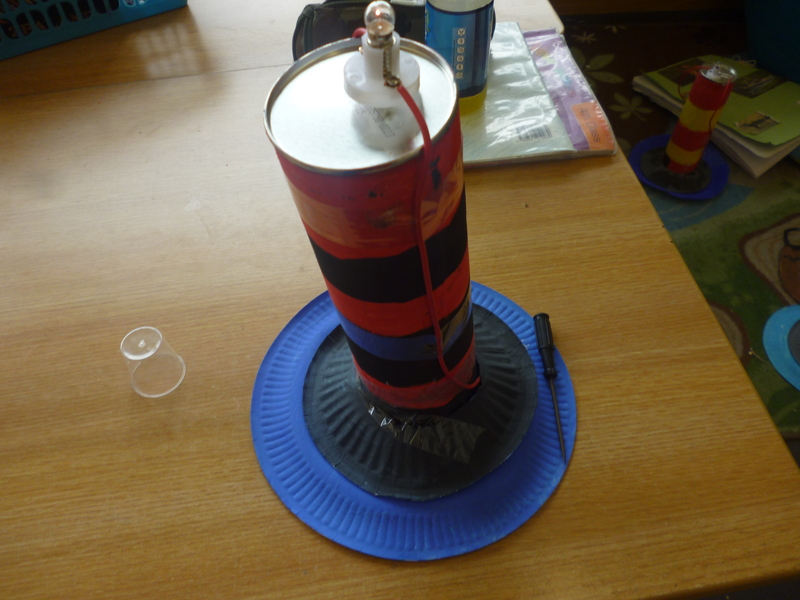 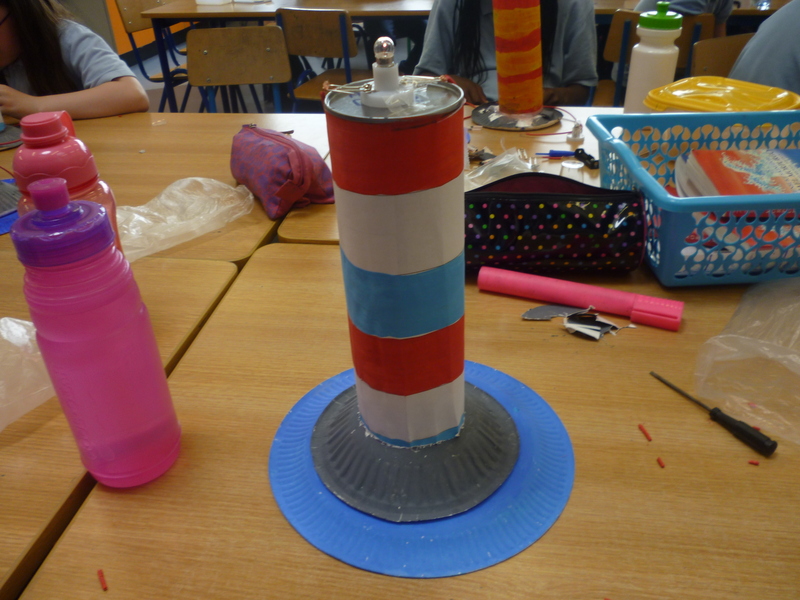 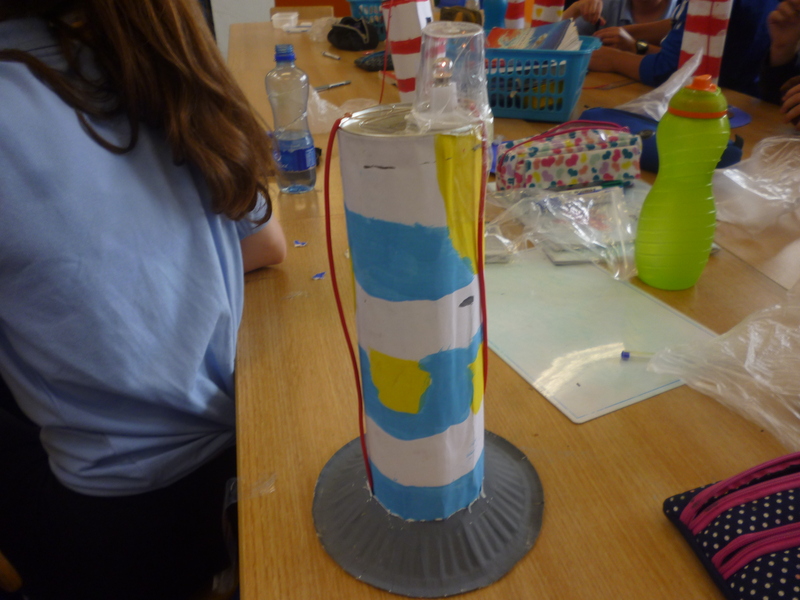 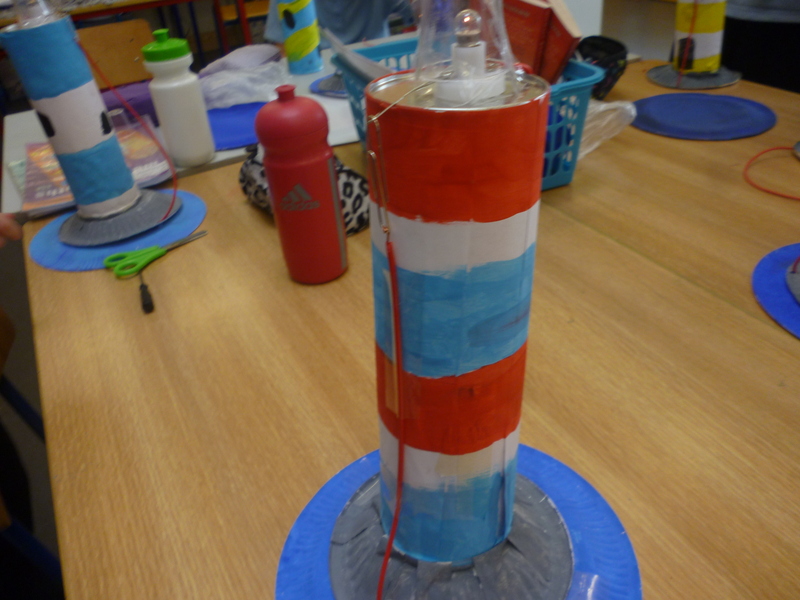 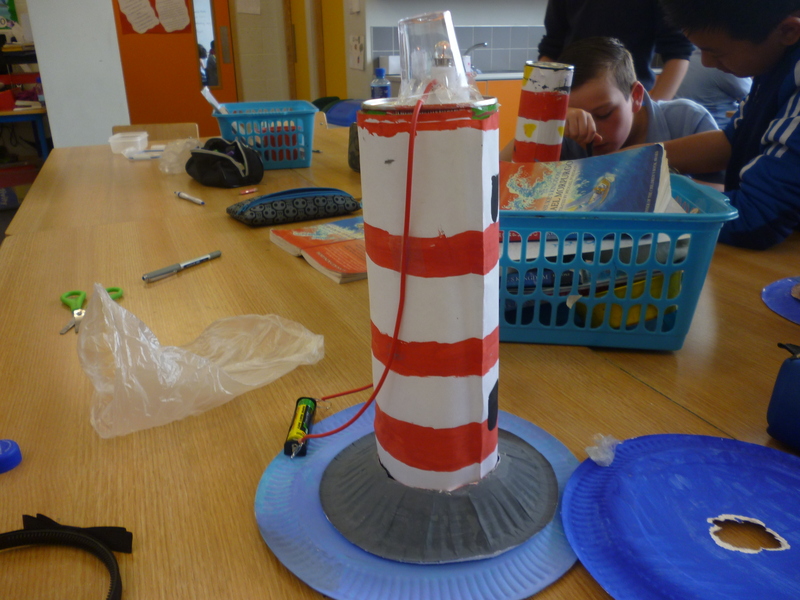 We then created a circuit using wire, paper clips, a bulb and a battery and attached this to our lighthouse. 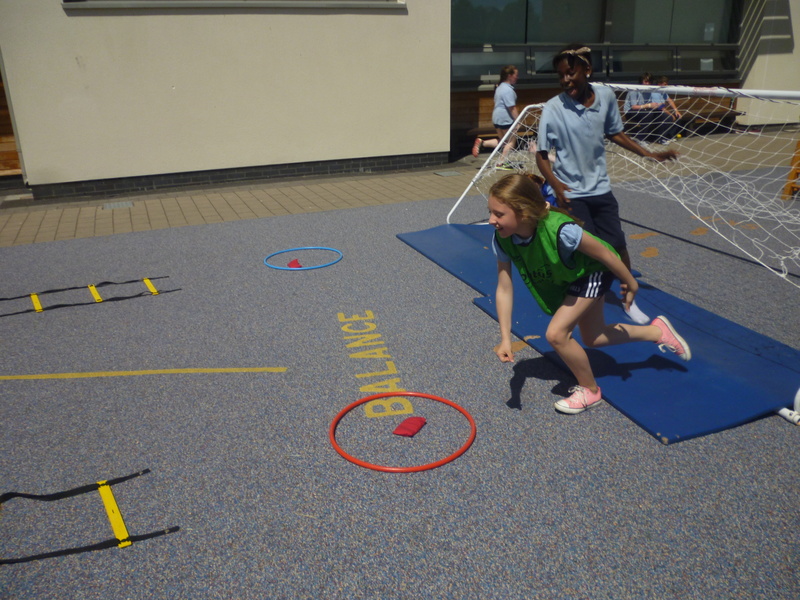 We had great fun at our Sports Day today!! 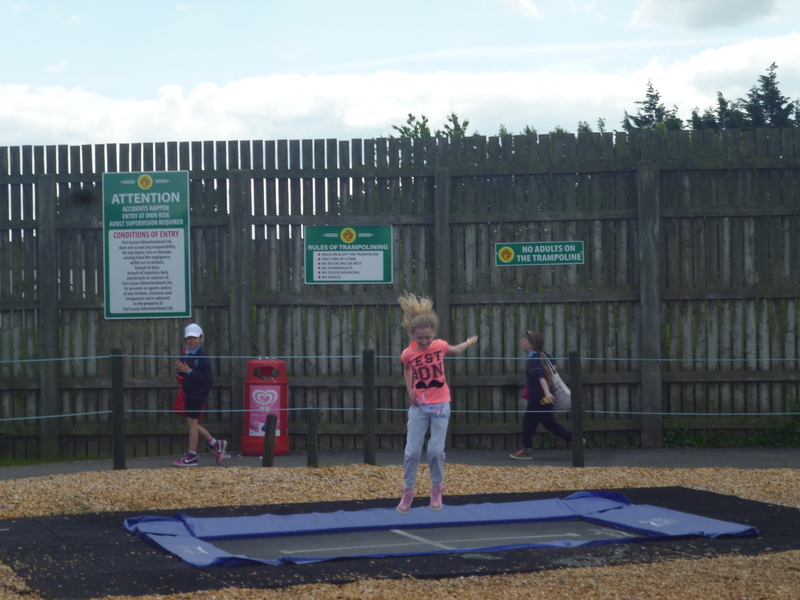 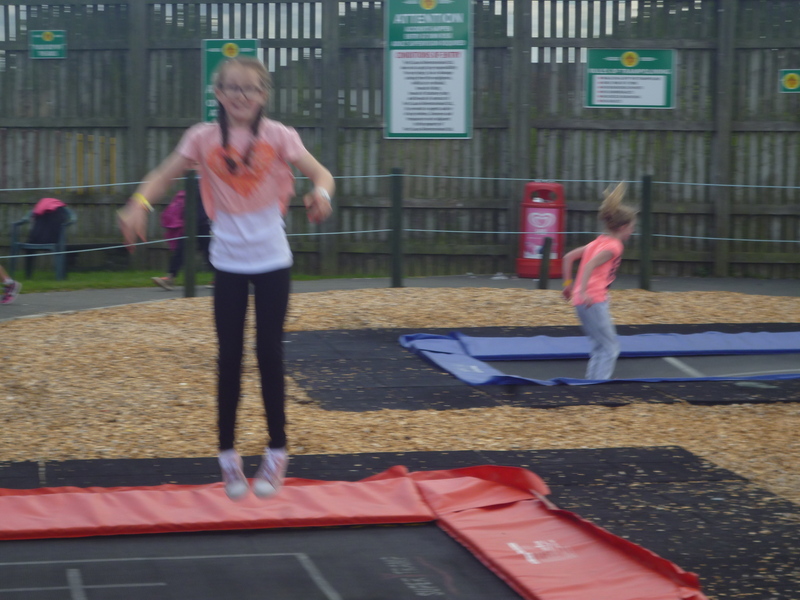 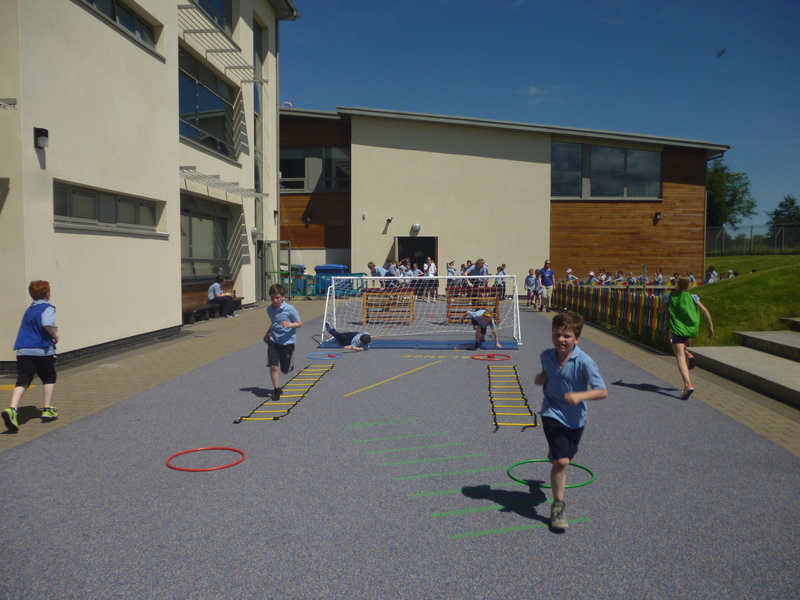 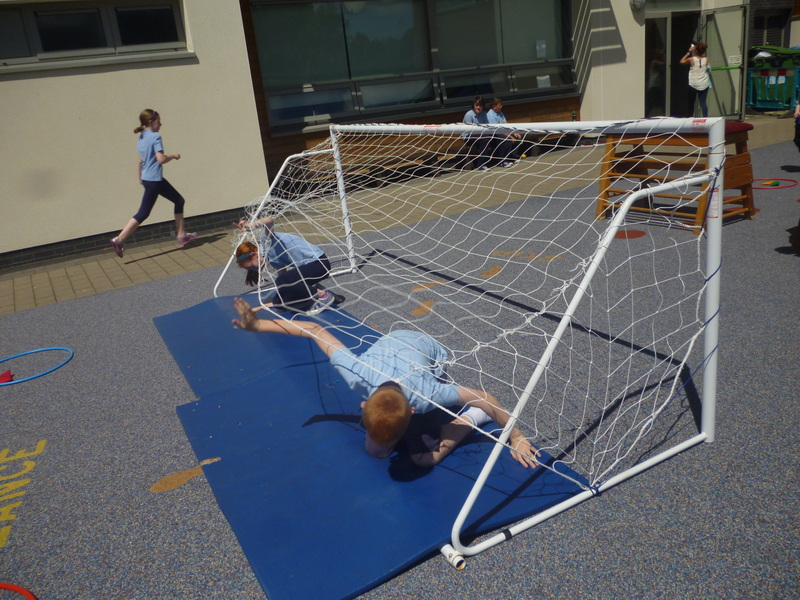 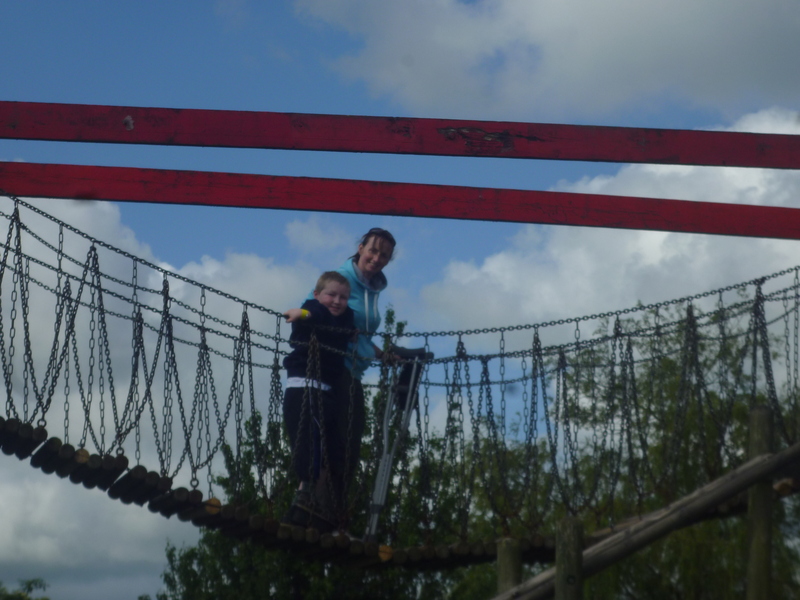 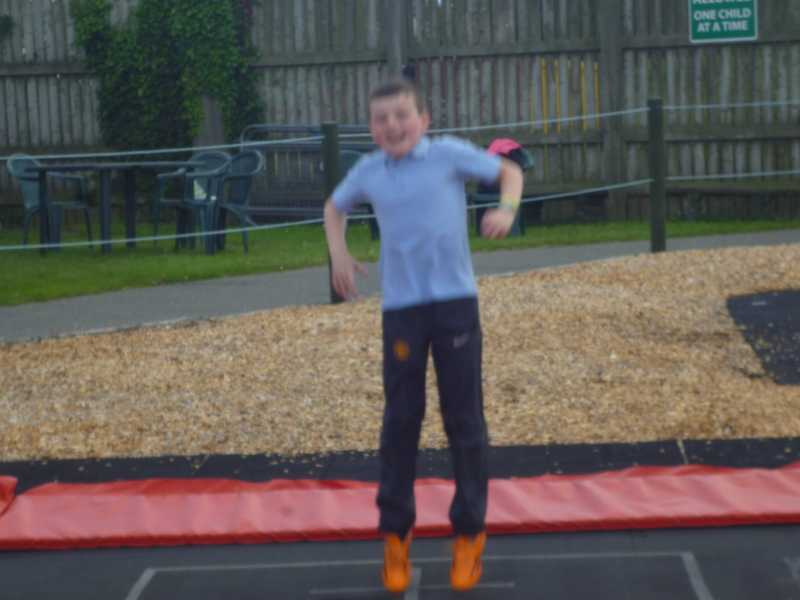 There were many fun activities to enjoy such as dodgeball, football rounders, an obstacle course, the sponge race, the egg and spoon race, the sack race and much more! 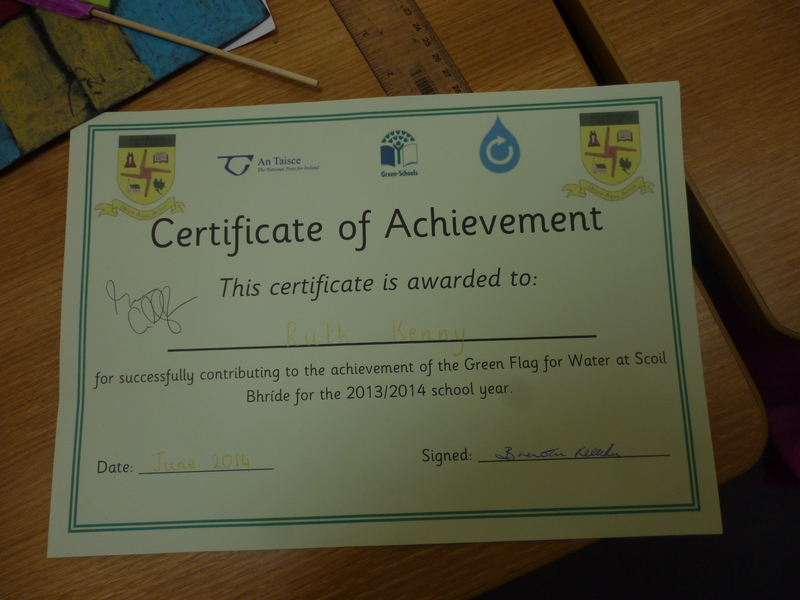 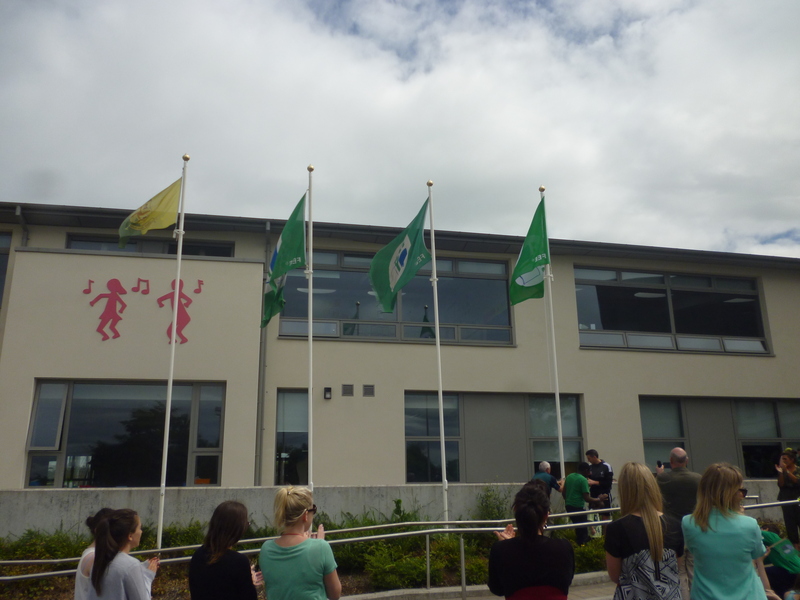 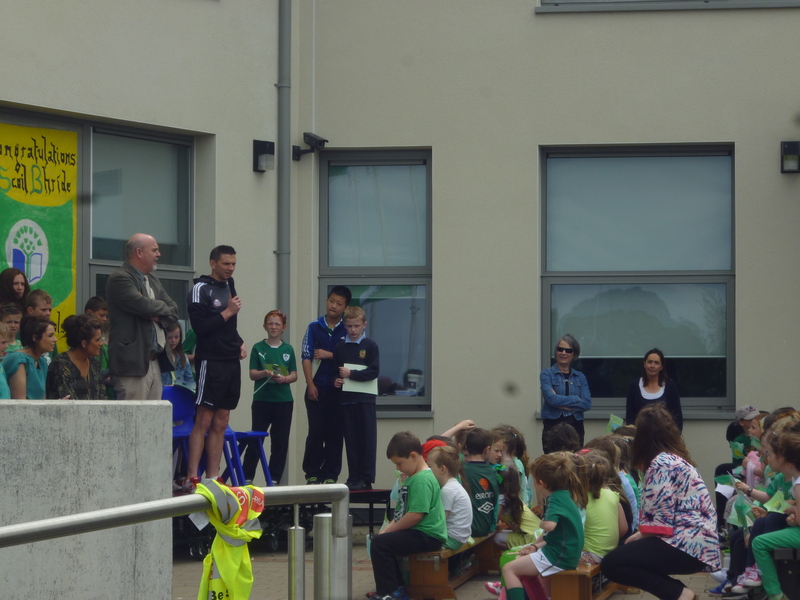 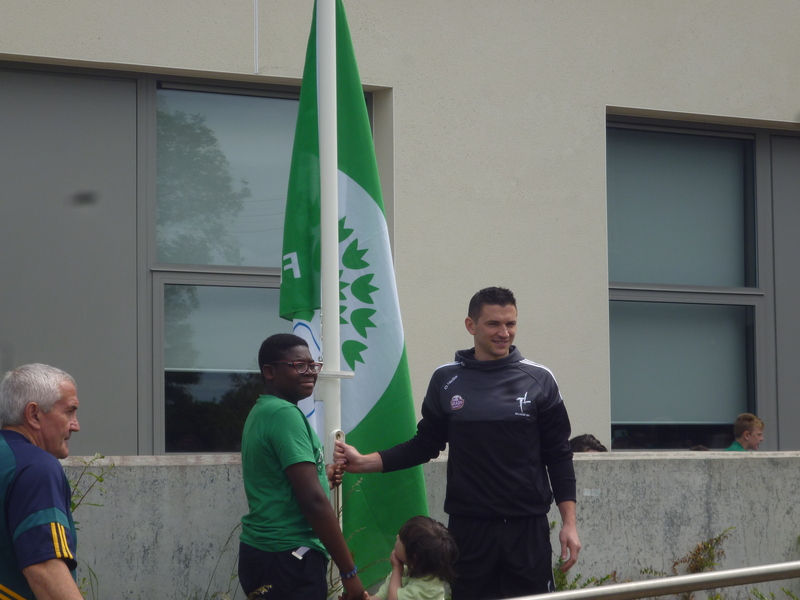 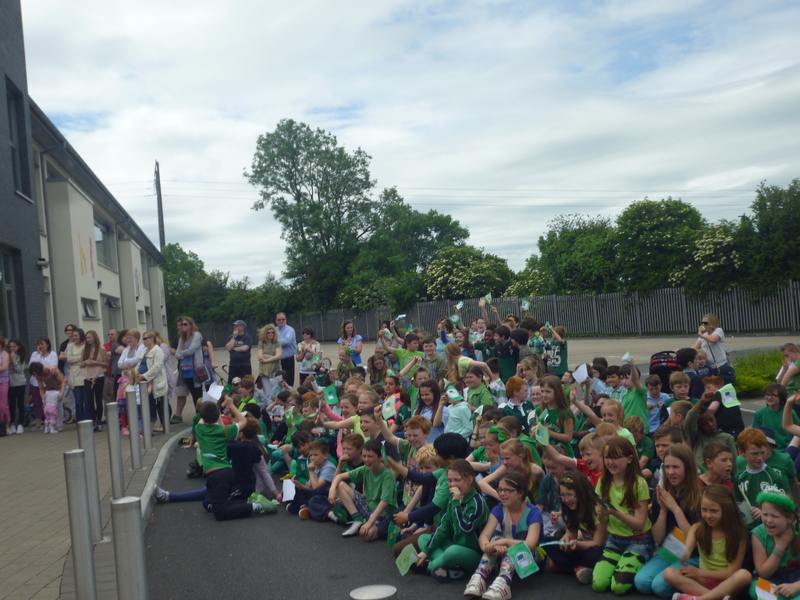 On Friday we celebrated the receipt of our third green flag! 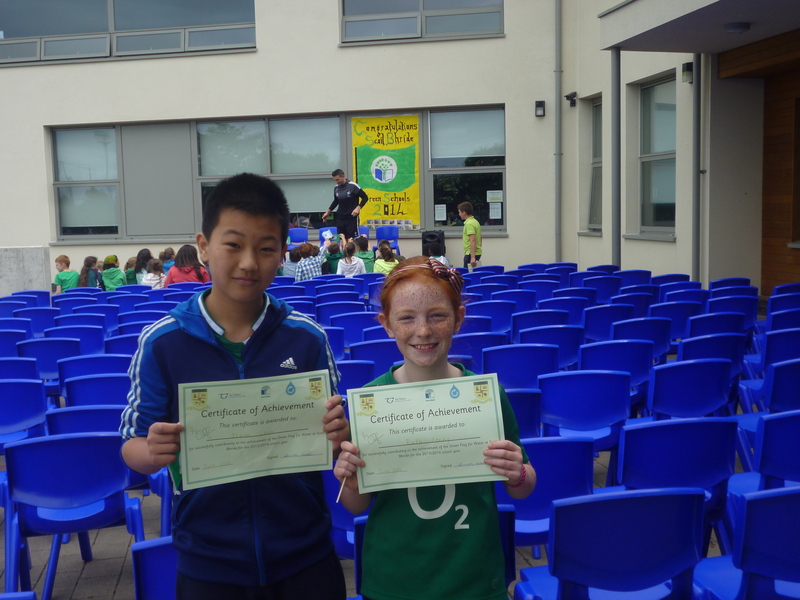 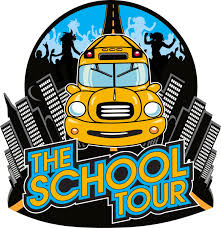 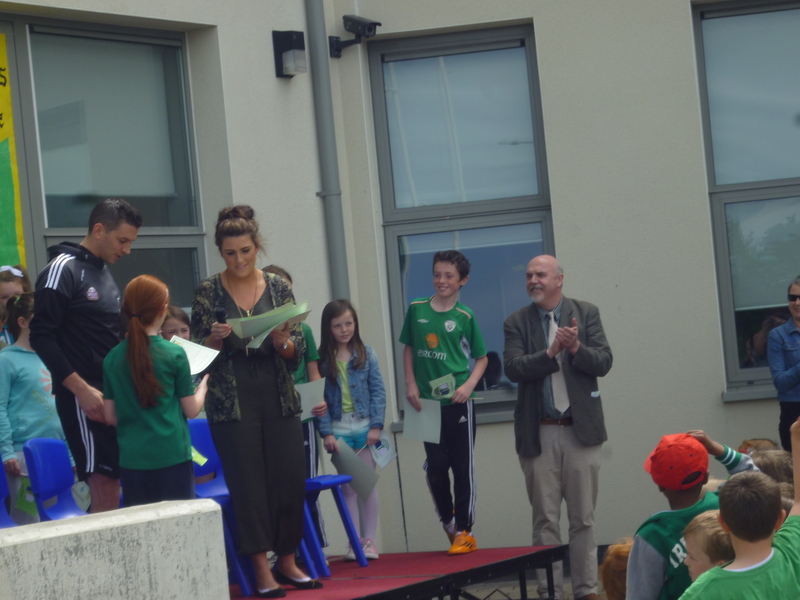 Well done to our class representatives Steven and Ruth and the Green School’s Committee. 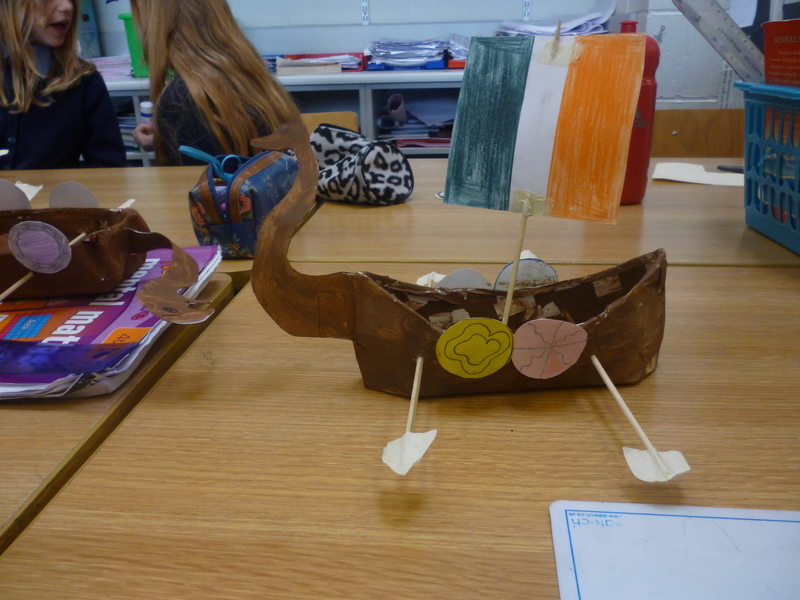 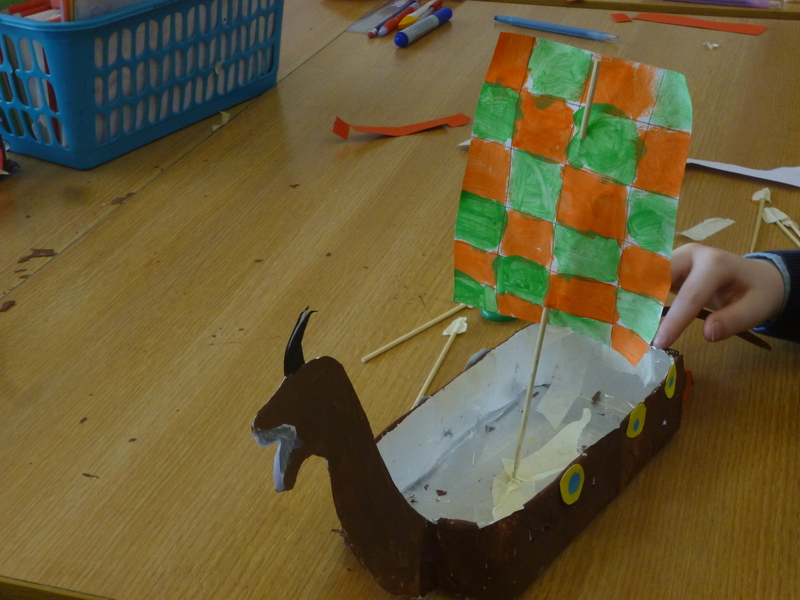 We have been learning about Vikings in history. 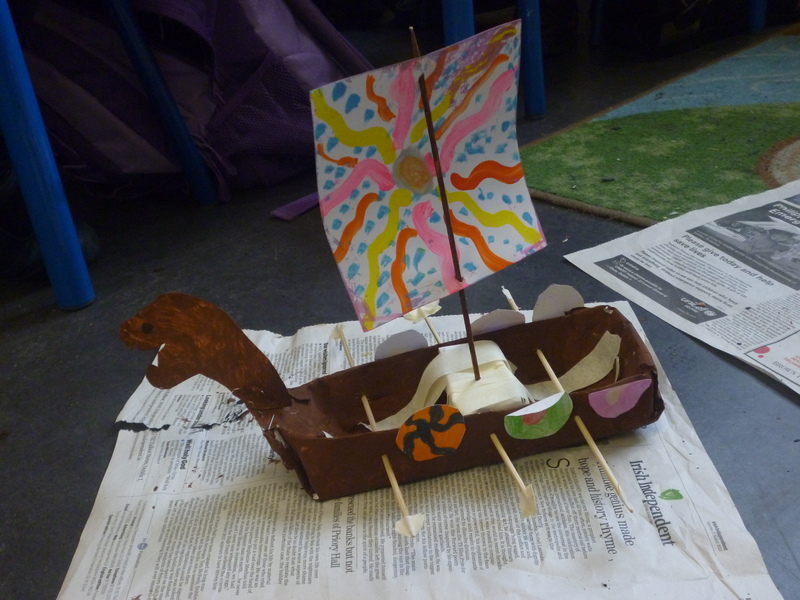 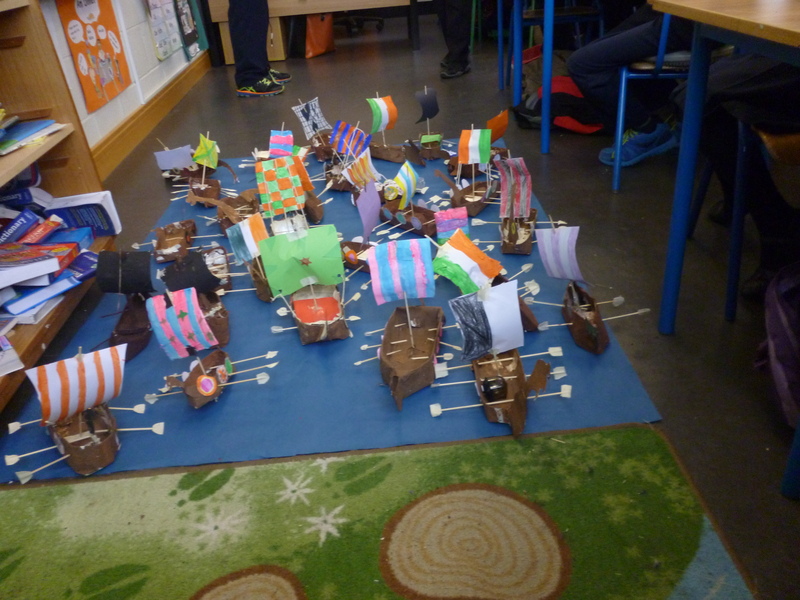 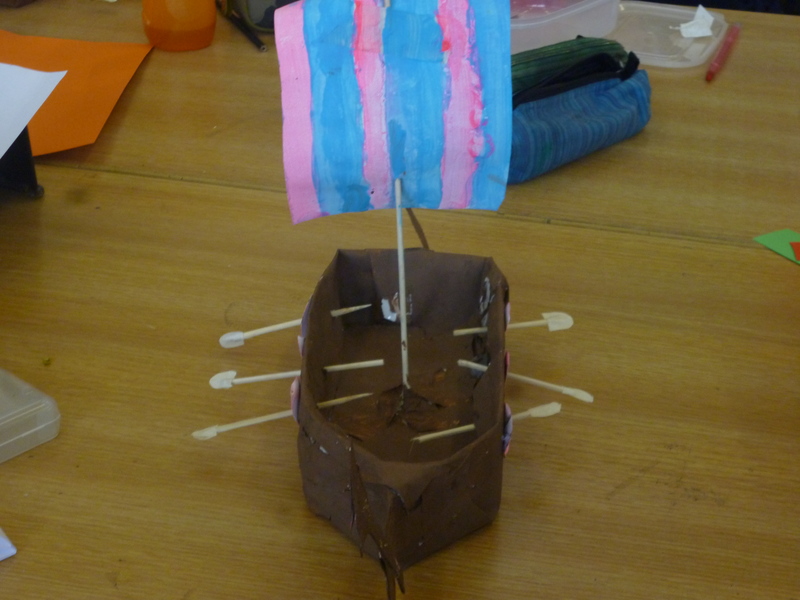 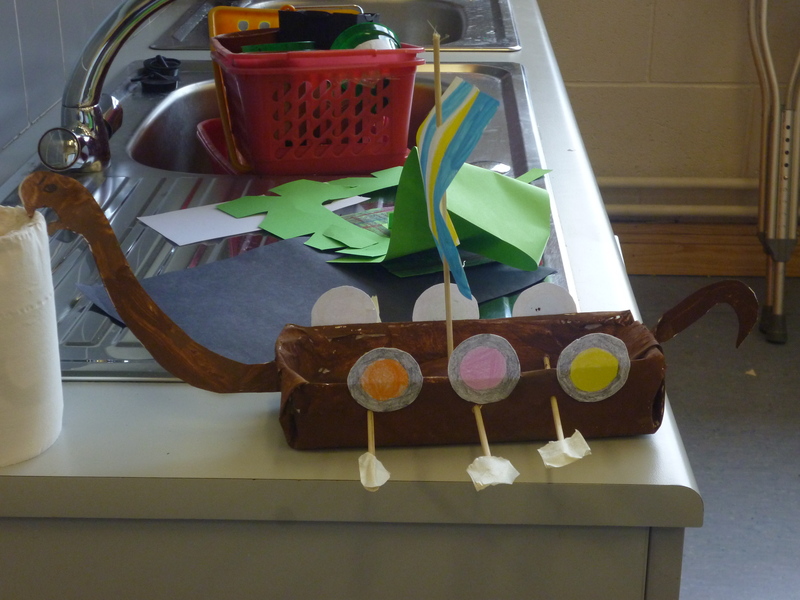 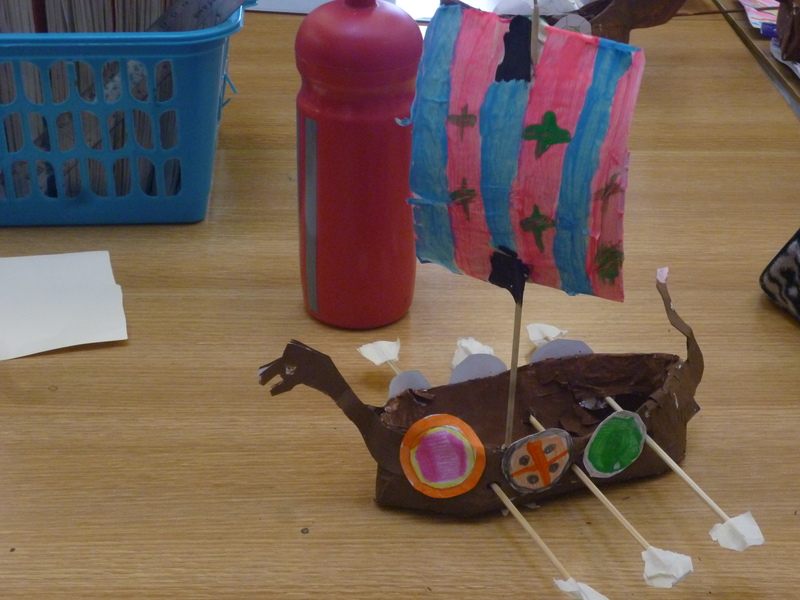 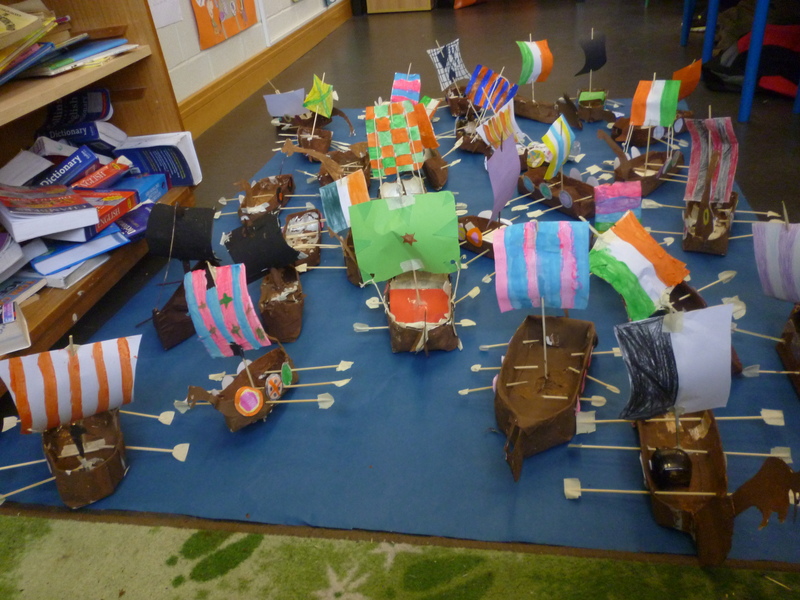 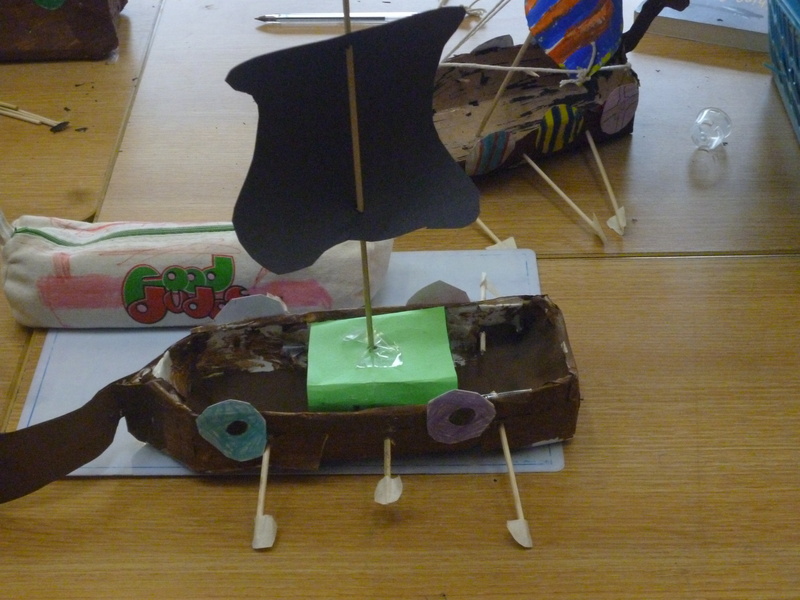 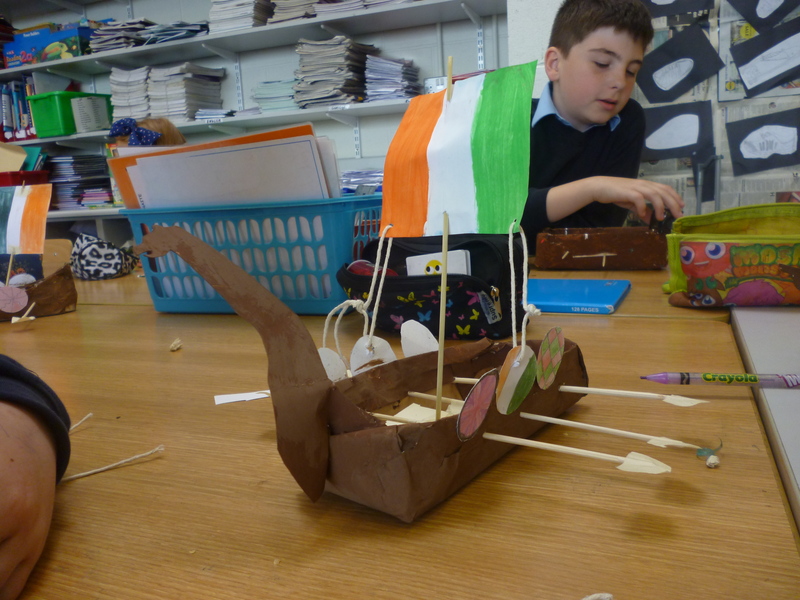 As part of our work we constructed Viking longships! 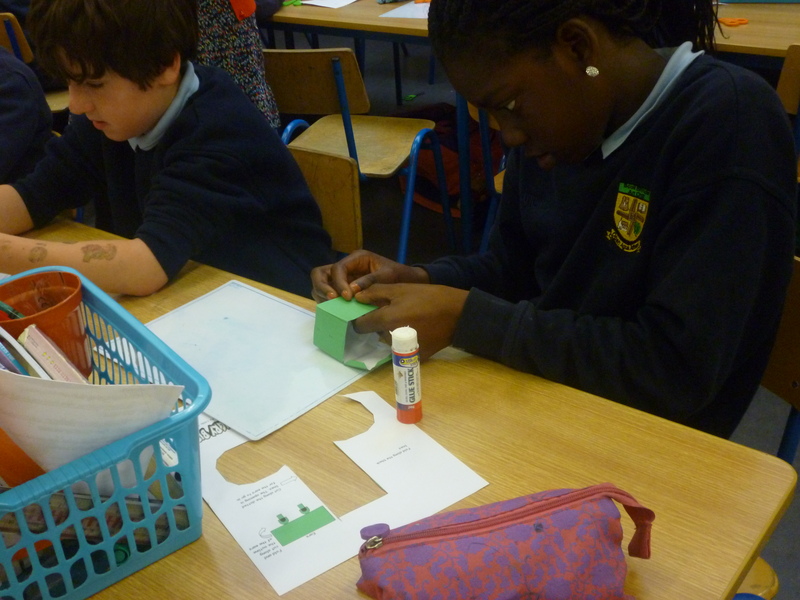 With hard work and perseverance, fourth class produced some lovely constructions to be really proud of! 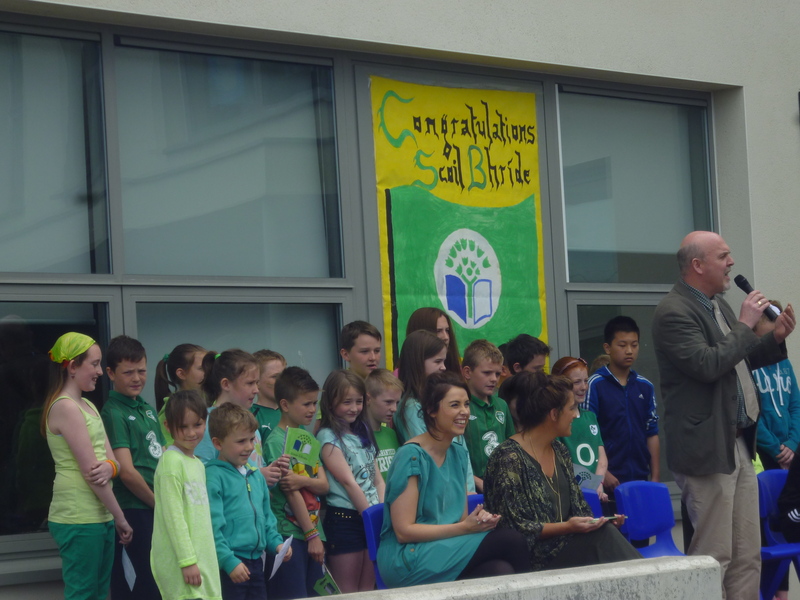 Well done fourth! 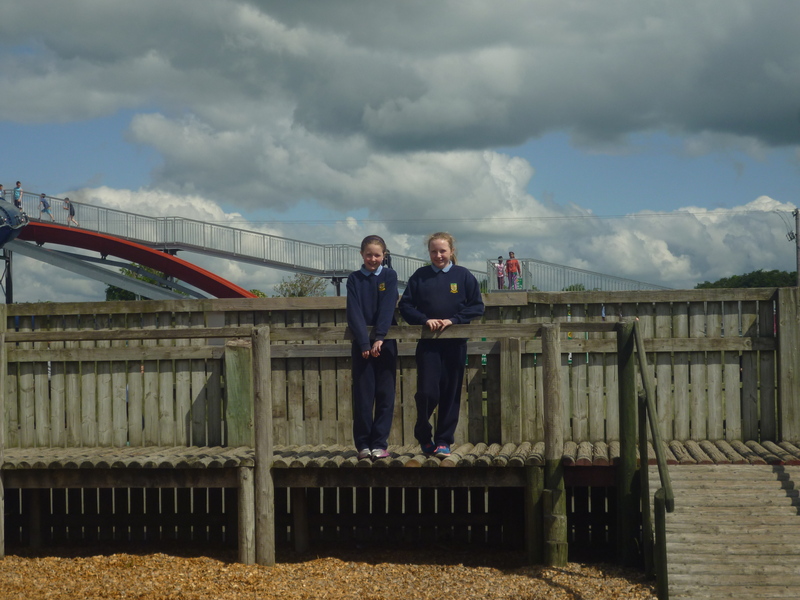 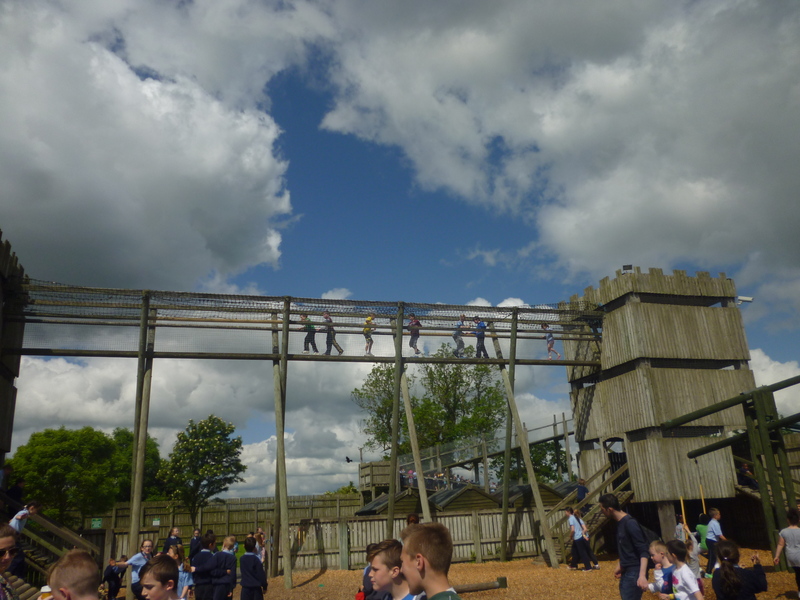 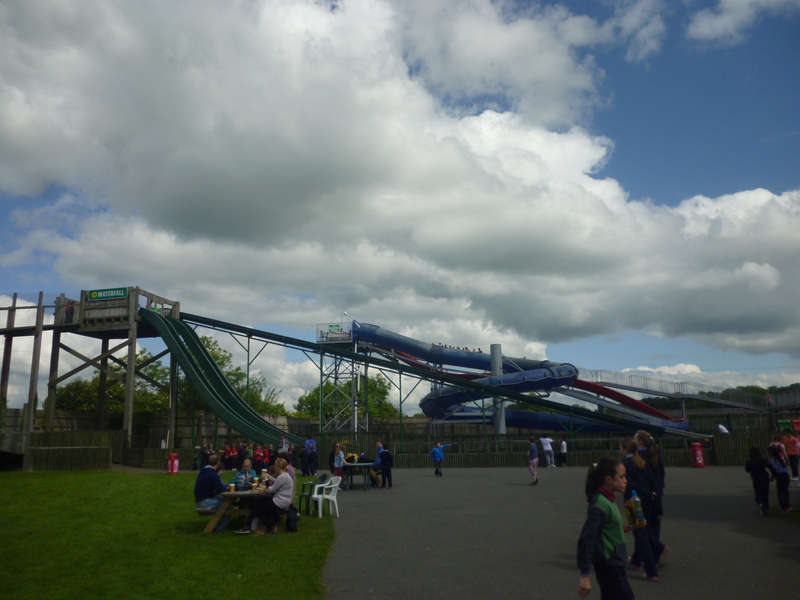 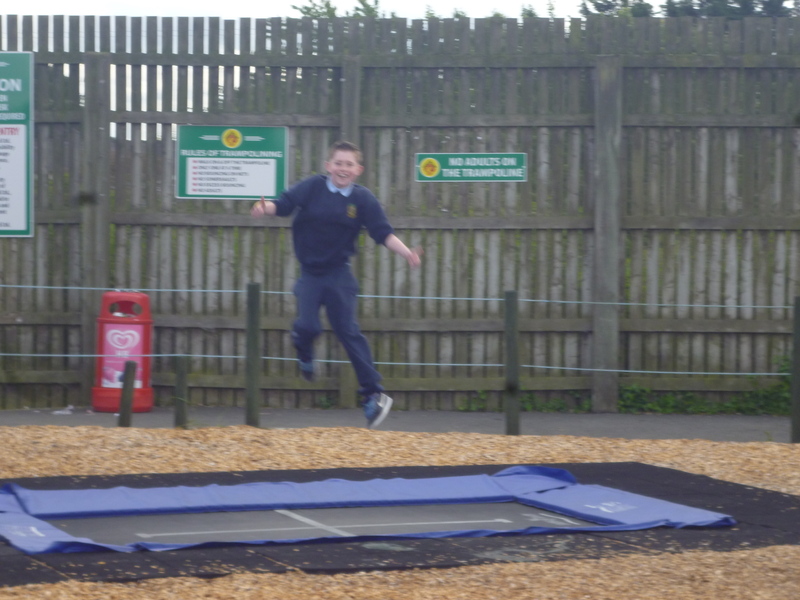 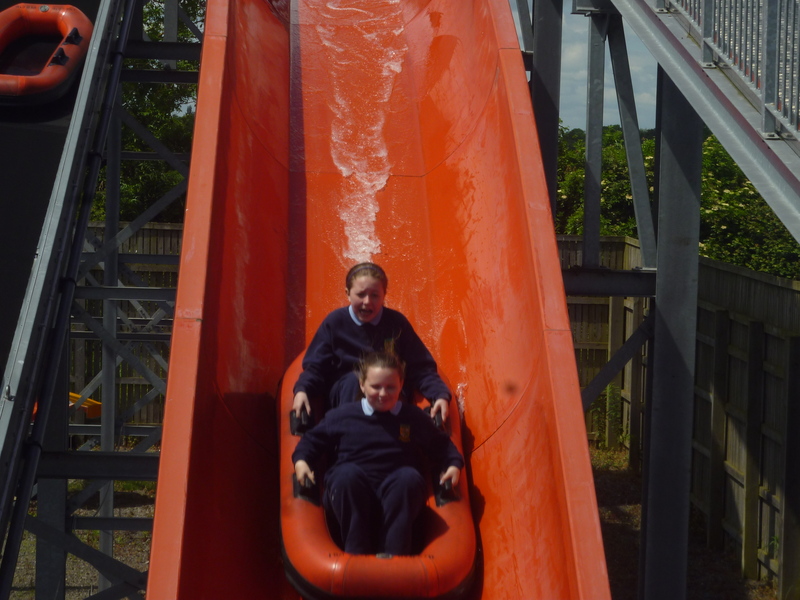 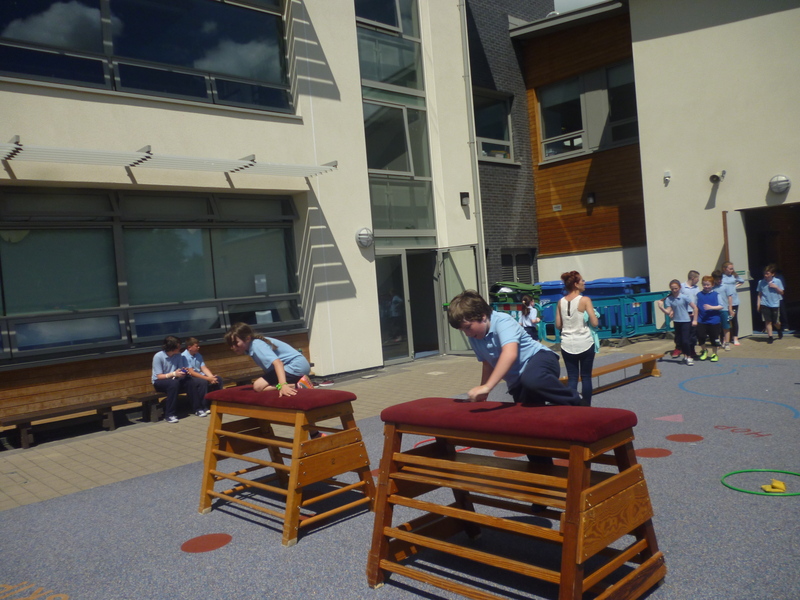 Last week fourth class visited Fort Lucan! 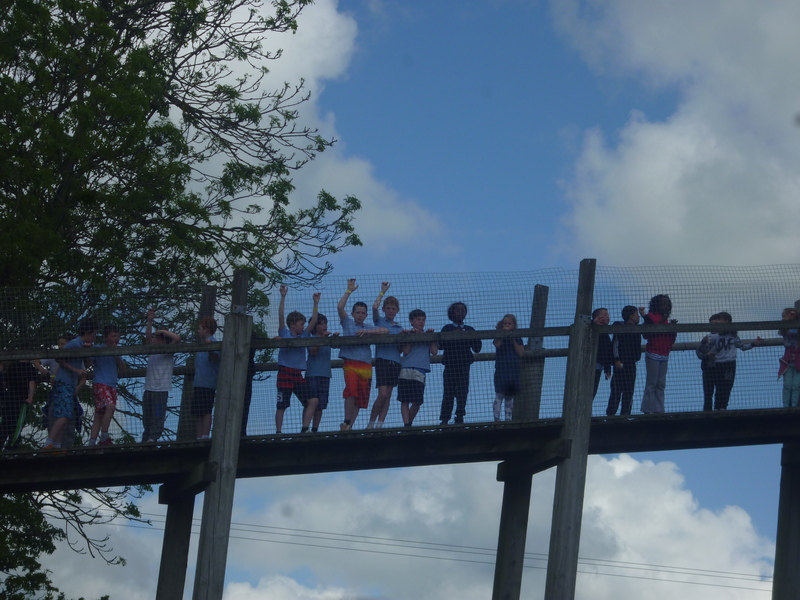 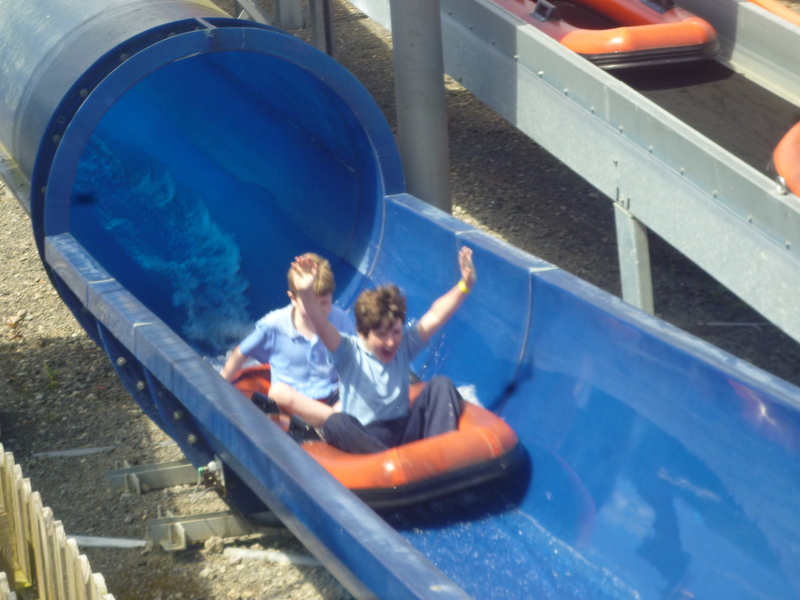 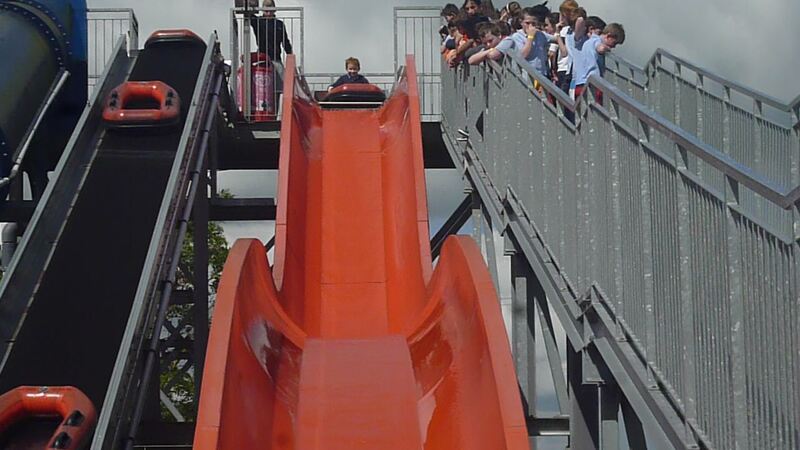 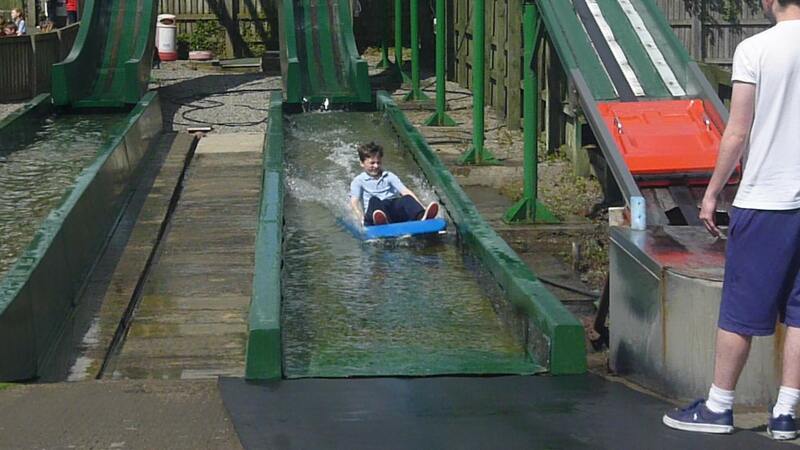 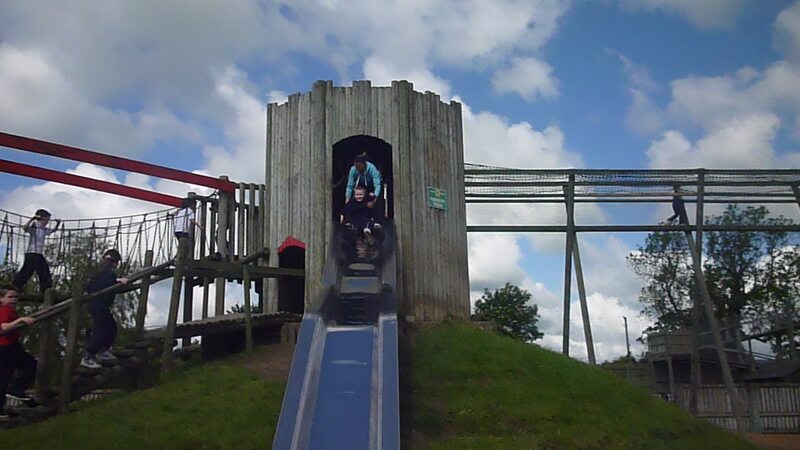 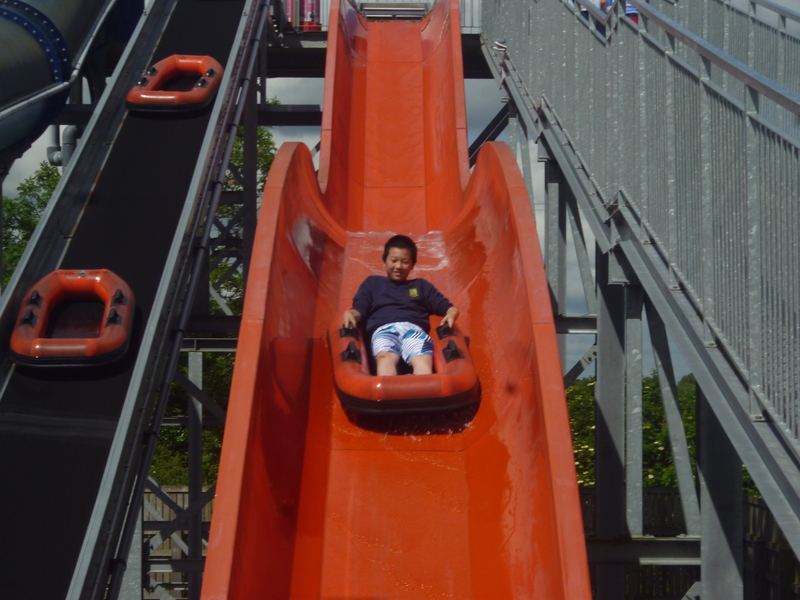 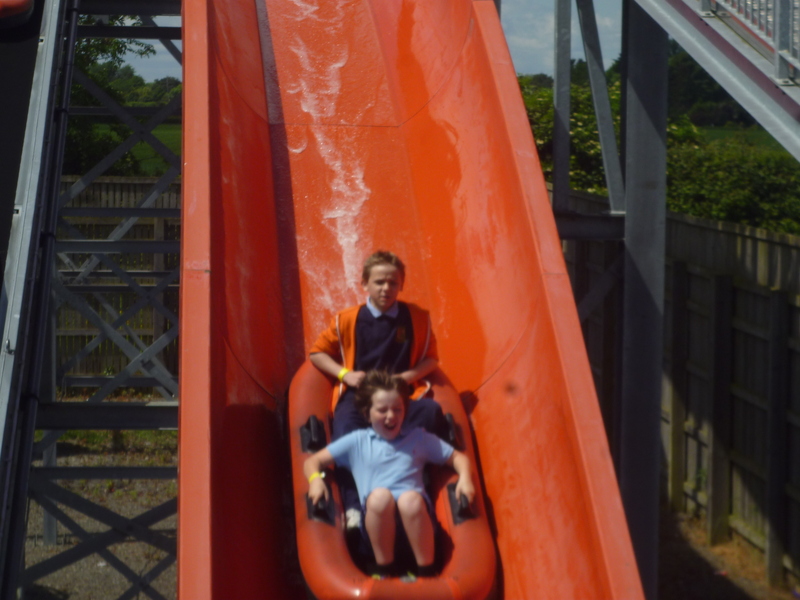 We had a super day! 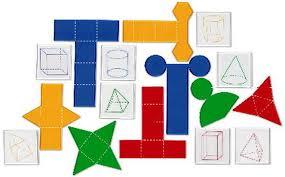 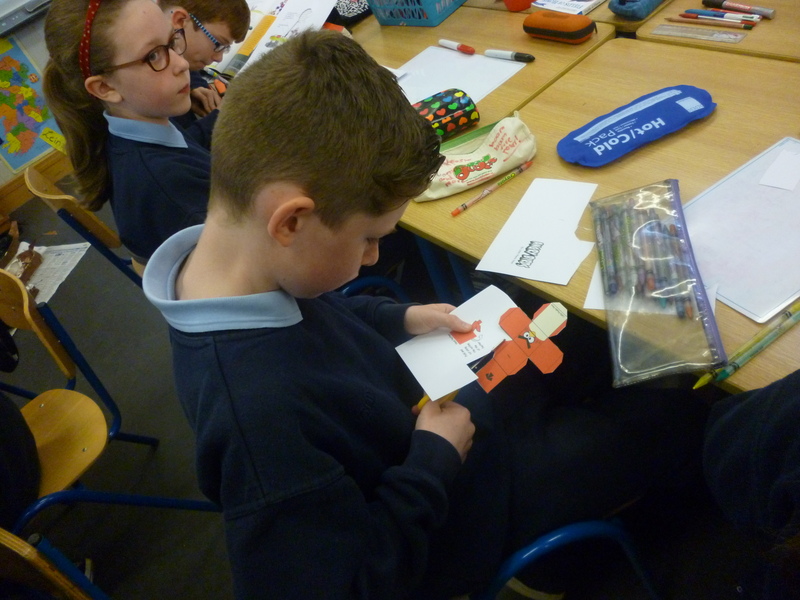 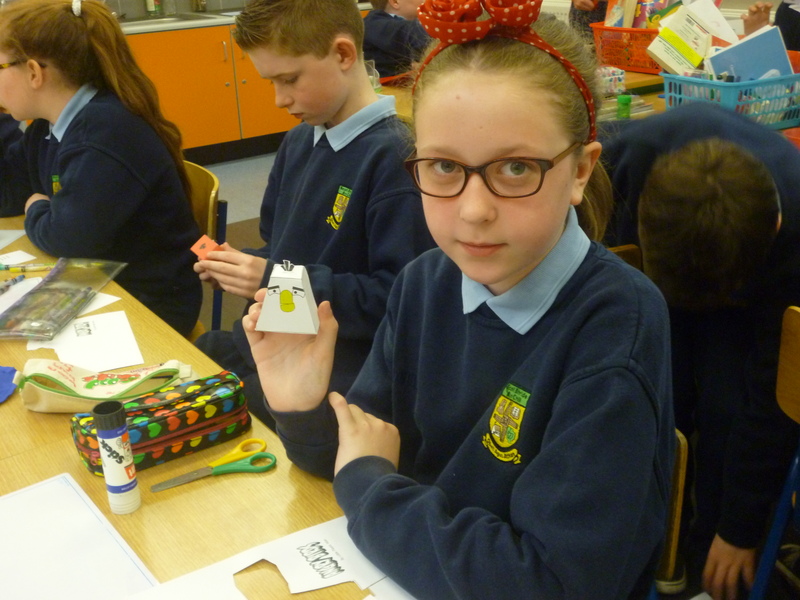 This week in maths, we are learning about the properties of 3-D shapes. 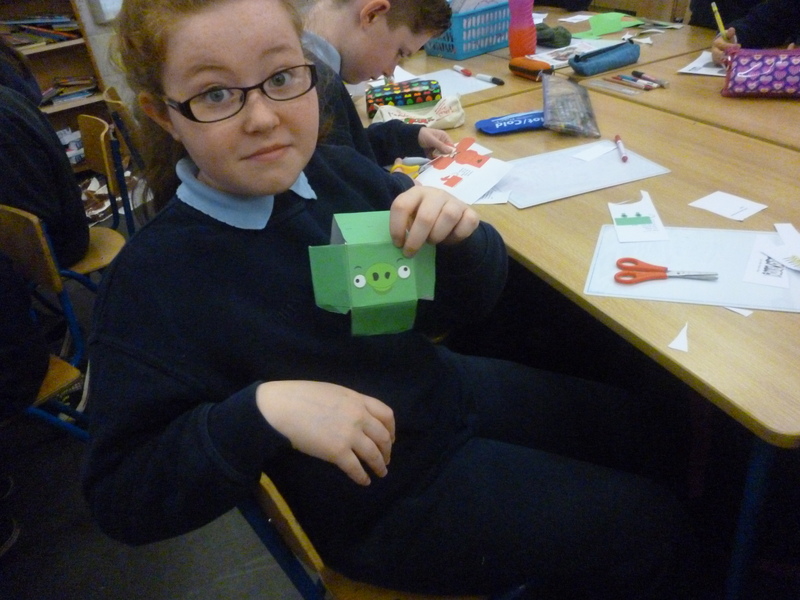 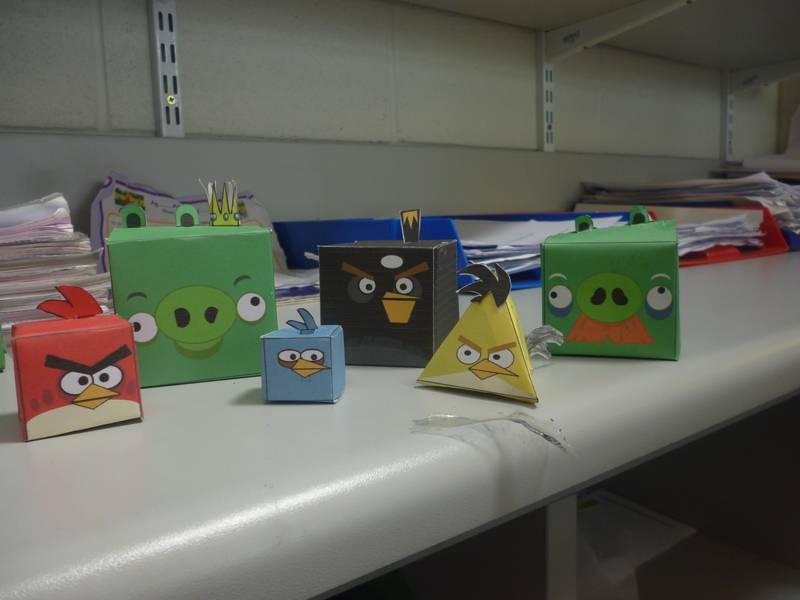 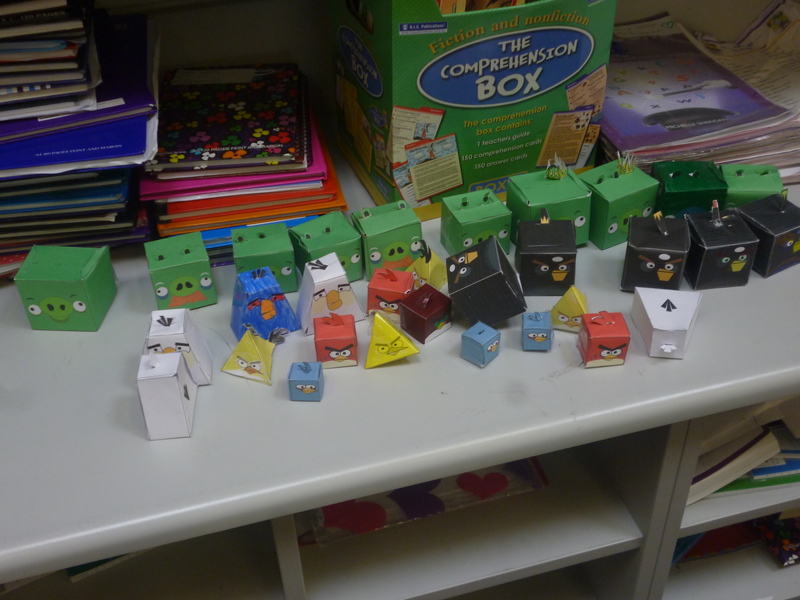 Today we looked at nets for 3-D shapes and constructed our own ‘angry bird’ 3-D shapes.